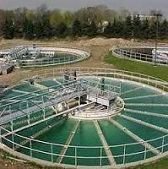 A clarifier is a device which clarifies Waste Water through the process of settling of heavy particles of sludge (impurities) as well as suspended matter in water. Sludge and suspended impurities being heavier settle at the bottom of the clarifier tank. A scraper blade rotates at the bottom of the conical bottom tank. This scraps the sludge settled on the slope of the conical bottom. The blades through their gradual sweeping action bring down the sludge to the centre of the clarifier tank, from where it is pumped out. 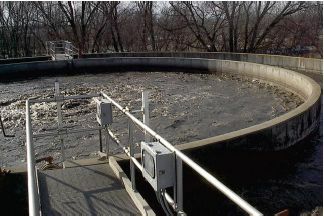 Thus sludge and sediment material is continuously removed from the bottom of the clarifier tank. 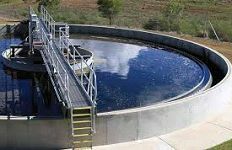 Some times in specific cases a scum removal mechanism is also provided to skim off the oil floating at the top of the clarifier tank. Relief from the frequent maintenance of chocking bottom sludge pipe. Clariflocculator are generally used for chemical primary treatment for effluent. Instead of separate flocculation & clarification, clariflocculators are generally used. This results into economical and faster installation of primary treatment. Clariflocculators are having high torque centre drive with sludge arm device. We are the only manufacturers to provide this feature as standard. main feature of clariflocculator, unlike other is, concentric paddle type flocculator mechanism which creates the flocs throughout the flocclation zone.